I want to give props to two sites that I really like. 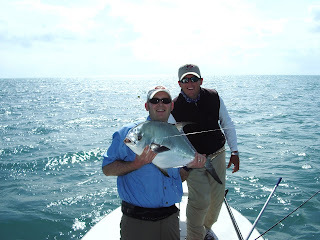 The first is to Key West on Fly which is a group of fishing guides in the Keys. I've fished with Drew Delashmit and truly think he's one of the finest guides I've ever fished with. If you're in the keys, there is no one else I would book. The second site is my friend Rob Snowhite. Rob teaches casting lessons, ties flies, and will take you fishing. He's an all around good guy and I highly recommend checking out his Web site.